This year’s finalists will receive the opportunity to travel, free of cost, to the French Embassy in Washington, D.C. to participate in the 2016 Lafayette Debates. The winners of the Lafayette Debates receive a study tour in Paris organized by the Embassy of France. Not only is participation a great experience and resume point, but every competitor will receive a certificate acknowledging their participation and the first through third place entries will receive awards. The final round participants will also help represent the Department of Communication at the 2016 Philipsen Forum Debates in March. The tournament itself is simple: There will be two rounds of competition. 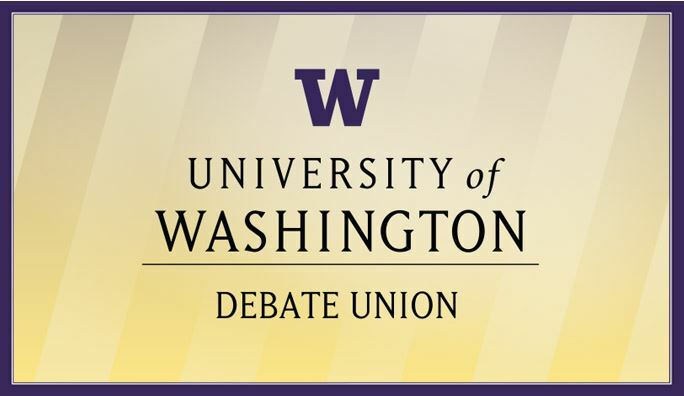 On February 3, the UW Debate Union will hold a 60-minute clinic on debate at 6 p.m. in CMU 321 to help prepare for the event. Entries to participate must be received by February 4 at 5 p.m. to Adam Anderson at andersona7177@gmail.com. To enter, email your name and major to Anderson – finalists will be asked to provide a proof of major from a transcript or DARS report. Entries are limited to Communication majors and students who have not yet declared a major at the UW. Team members of either the UW Debate Union or the UW Speech & Debate Society are not permitted to participate in the competition.